Sizzling summer barbecues are the inspiration behind the brand new Play’n Go slot now available at a virtual casino near you! Sizzling Spins announces a new era in spinning enjoyment as the sensational 5 reel online slot features an unexpected twist bound to excite every single player in 243 different ways. It’s time to cook up sensational fun and satisfy your appetite for winnings, every sausage or red pepper that hits the grill surprises with a massive multiplier while the biggest tasters at this BBQ are the bonus spices. The meat to line up in combinations include ribs, sausage, chicken wings and prawn while side dishes like mushrooms, cucumber, tomato, onion and corn, tastefully complete the meal. The concept in Sizzling Spins is that every item added to the hot reels gets flame grilled and players get to taste their value in cash profits. When it comes to bonus spices everything tastes just so much yummier once the chilli scatters heat up taste buds via 12 free spins with all payouts multiplied by up to 5 times. Collect grilled symbols in the wheel fitted to really turn up the heat during the free spins, add as many wilds as possible and with the benefits of a respin this BBQ could last a while! 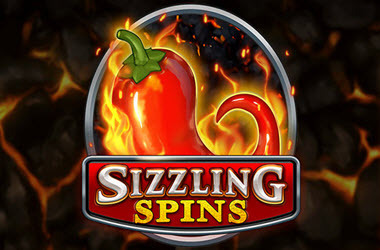 That leads to a spinning Sensation featuring Endless Winnings!Sizzling Spins slot reminds players of how pleasant a BBQ is, it evokes this pleasant connection every time the game is launched. While the excellently portrayed theme keeps slot enthusiasts’ spirits on an all-time high the bonus symbols ensure tons of winning pleasure. It is this positive feeling, that the game wants to offer players in daily doses. The award-winning software creator offers some of the most interesting themes based on creativity and unique inspirations. Recently released games apart from Sizzling Spins slot heating things up, Cats & Cash announced the purr-fect time to grab some winnings. Play’n Go is also one of the major players in casino table games and released European Roulette Pro, this year, containing 37 numbered pockets, including a green zero, offering an impressive RTP of 97.3%.